Reading to babies and infants is one of the most important developmental exercises parents can do. In addition, it can be a lot of fun for you and your child, and serve as a wonderful bonding experience. 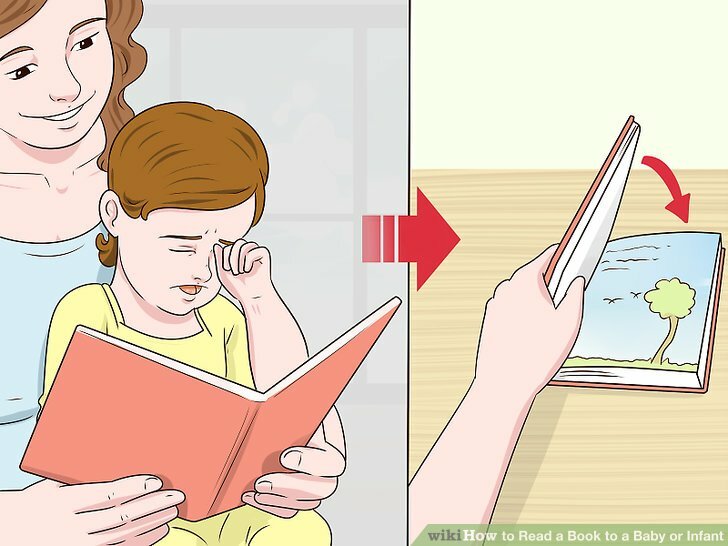 However, there are some things you can do to get the most out of reading to your child. By putting some preparation into reading and taking steps to make it more engaging, you’ll have more success reading to your child. Read at a slow pace. As you read, make sure to go slow. In addition, enunciate words carefully and correctly. This way, your child – depending on age – can better follow along. In addition, reading slowly will make your time together more relaxed and enjoyable for both of you. Ultimately, if you rush through the book, the experience may seem stressful to you and your child. Don’t focus on reading the exact words. As you read, don’t stress about reading the book word-for-word. It is more important that you convey important ideas and engage your child in the book. 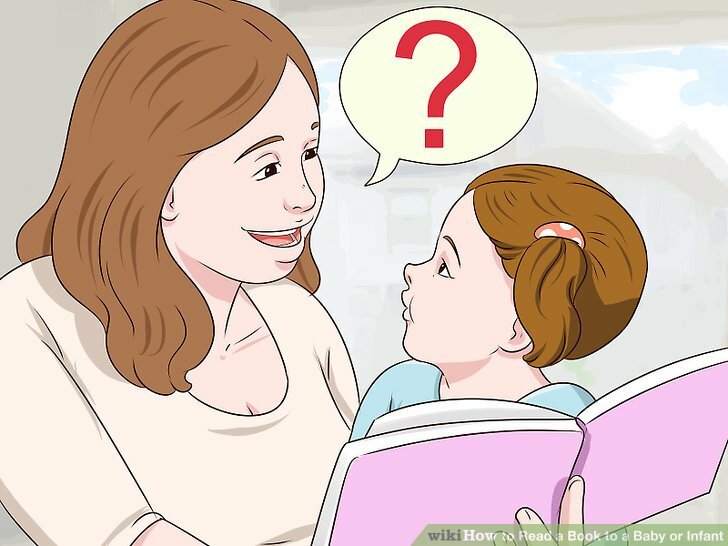 Ultimately, focusing on reading the book word-for-word will not only distract you from this goal, it will also make the reading experience less attractive for your child. Rephrase or put difficult sentences or concepts in your own words. Express familiar concepts in a language or cultural perspective that is unique to your family. Use your voice and hands. Whether you’re reading to an infant or an older baby, try to be as interactive as you can. This includes changing the intonation of your voice, pitch, and more. In addition, use your hands to express the story to make it more exciting. After doing this, you’ll find that your child will be much more engaged in the activity. 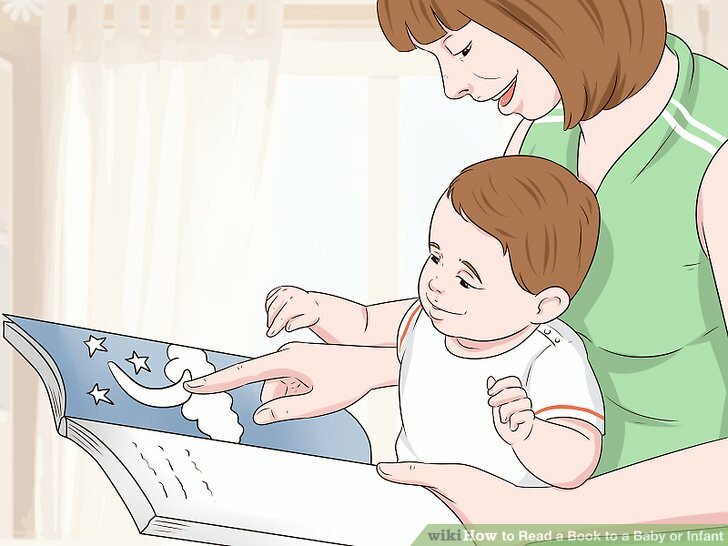 Allow the baby to touch the book. 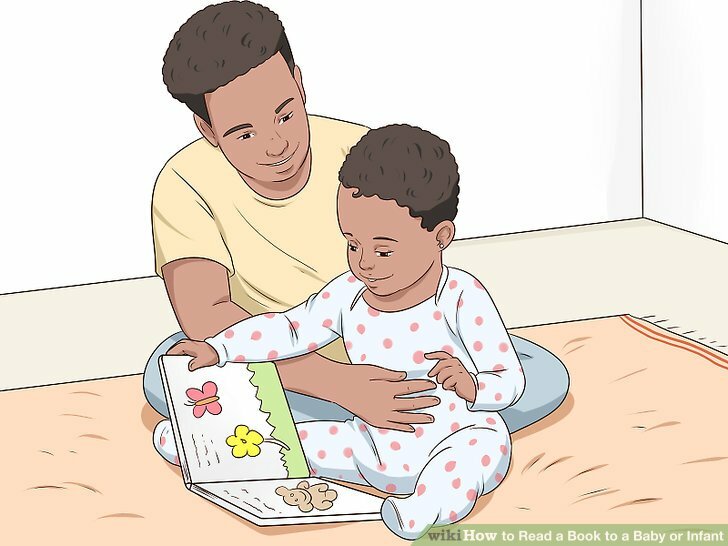 While infants may grab at the book and occasionally touch it, older babies will likely show more of an interest in touching the book. Touching the book is important as it will allow your child to gain an attachment to the book and be more vested in the reading process. Help infants touch pictures and different textures and surfaces in the book. Choose books with lots of different textures and pop up features. You may also want to try some vinyl or cloth books when the baby is starting to grab things. 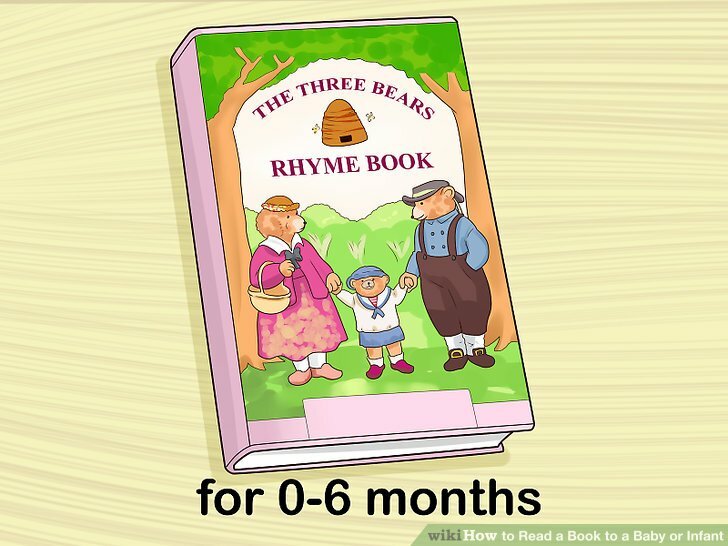 Encourage older babies to help you turn the page. As you read your book, make sure to point to the pictures that are the subject of what you’re reading about. For example, if you’re reading about an apple on a given page, point to the picture. Then, encourage your child to point to and touch the picture, too. 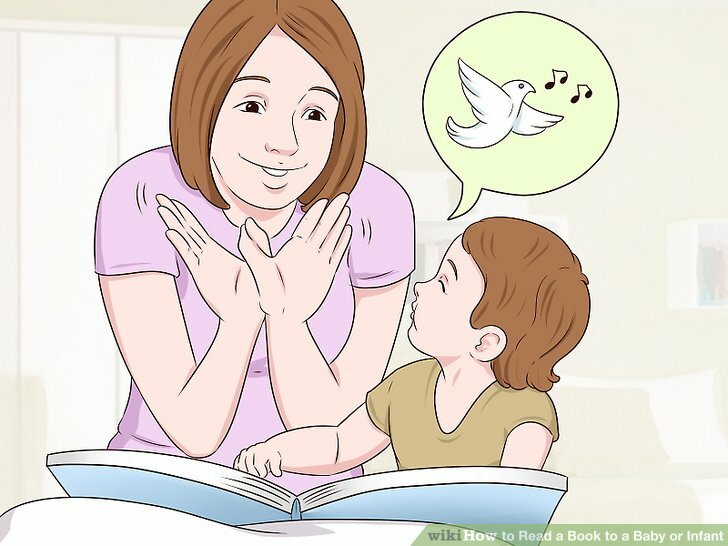 By pointing out what you’re talking about, you’ll stimulate your child and begin to lay the foundation of their vocabulary. While you read, stop and ask your child questions. Questions will make the experience more entertaining, interactive, and might pique your child’s interest. In fact, it doesn’t matter if your child understands the question you’re asking or even answers. Questions are more about transforming the reading experience into a dialogue between you and your child. If the subject of your book is about pets, ask your child whether they like dogs or cats better. If the subject of your book is about colors, ask what color they prefer. Then, use the opportunity to point out colors throughout the room. 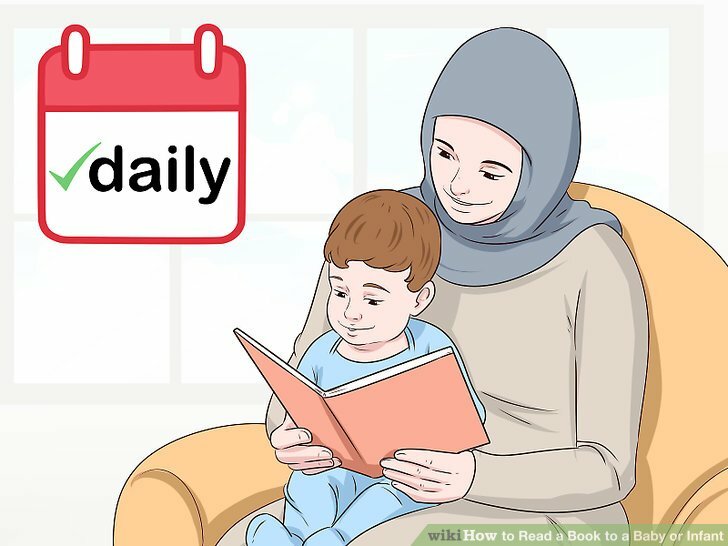 Although it might sometimes be difficult to find the time to read, you should make it a point to read to your child every day. Ultimately, all you need is you, your child, a book, and a few minutes. Don’t stress about finishing an entire book. If you’re short on time, five minutes may just do the trick. If you have more time, try to read for fifteen to thirty minutes. Pick a time when your child is calm and alert. Make sure your child has been fed, has a fresh diaper, and has napped. If your child is alert and in a good mood, they’ll get a lot more out of the experience. 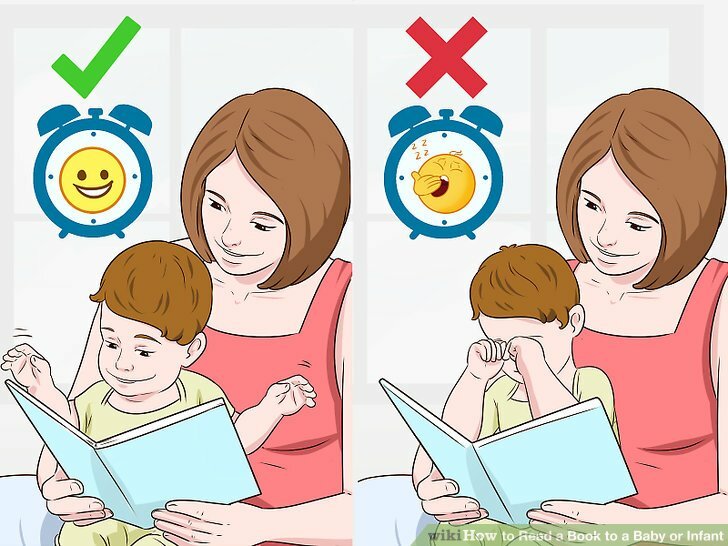 While you may want to make reading part of your bedtime/naptime routine, you should also schedule reading time when your child is alert. When it’s time to read, find a good and relaxing location – like the baby’s nursery. The location should be relatively quiet, have sufficient light to read, and should have a comfortable space for you and your baby to sit. Avoid places where you or your baby will be distracted. Let other family members know that it is reading time. 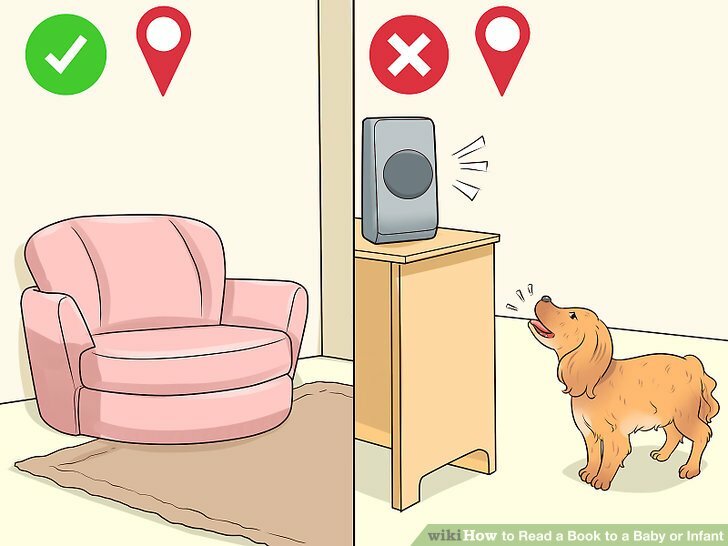 Secure pets in another room so they don’t distract you or the baby from reading time. Put your cell phone on mute or leave it in another room. Place your baby on your lap. 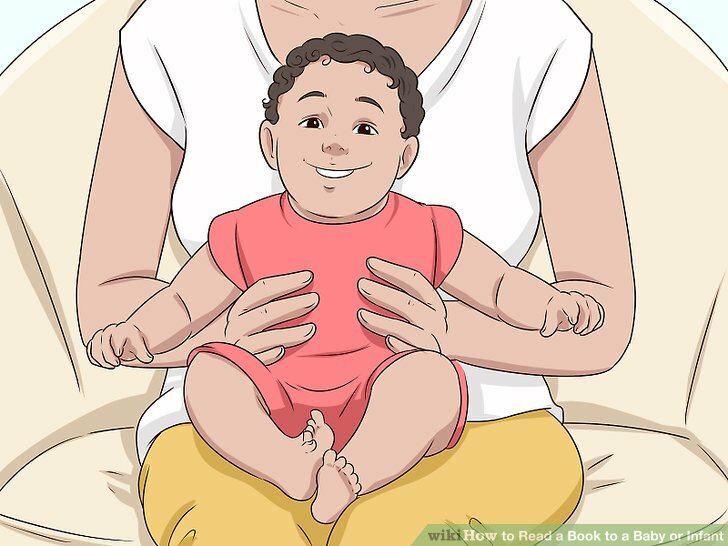 Situate your baby so they’re sitting or lying in your lap or against your body. This way, you’ll be able to hold the book in front of them at their eye level. This is important, so the baby will be able to sense your closeness and see the book as you read it. An important part of reading is making sure you have an age appropriate book. Ultimately, not all books work best for all ages. As a result, consider the stage of your child is in and then pick a book that works for your child. Pick books that have a sentence or two on each page for children age 13 to 18 months. Stop reading if the baby is unhappy. 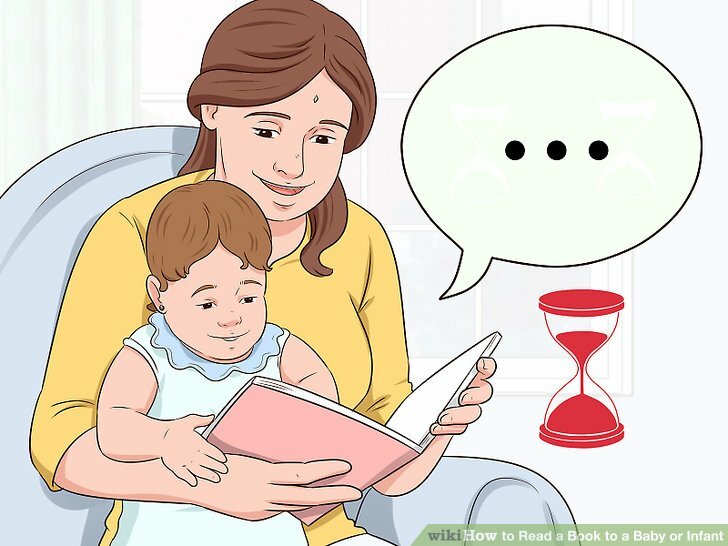 Once your baby has demonstrated that they’re done reading, you should stop. If you force reading, you’ll build a negative association and turn your child off to it in the future. Ultimately, if your child seems to be hungry, has messed their diaper, is crying, or is otherwise distracted, stop reading.